If you’ve ever lay in bed unable to sleep the night can seem like it’s never going to end. But sooner or later it does, the pitch black sky begins to lift and the first birds crack the silence with a burst of song. 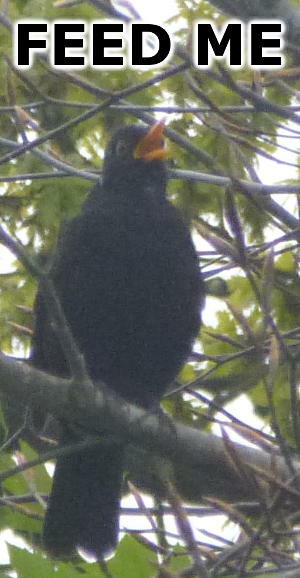 These first enthusiastic singers (often the ever urgent blackbird) break the seal and soon, tentatively at first, they are joined by their peers in an exponential swell of song. The whole time the light increases and another day begins. To save you waking up at (literally) the crack of dawn we’ve recorded short a burst of suburban British spring dawn chorus for your listening pleasure. Despite sounding like a tropical rainforest this recording was made towards the edge of town but within a suburban residential area. It sounds great but trust us it’s not a patch on the real thing so one of these days do yourself a favour and set your alarm clock for a good hour before dawn and enjoy one of natures finest experiences.